I was mesmerized by the headline on a story about the Butterfly iQ: “Doctor says he diagnosed his own cancer with iPhone ultrasound machine.” (spoiler alert: he was operated on to remove the tumor, and is OK). Then there’s the marketing pitch: “Whole body imaging. Under $2K.” (that’s as opposed to $115,000 for the average conventional machine). It won’t be on the market until next year, but the FDA has already approved the iQ for diagnosis in 13 applications. Even more amazing, due to advanced electronics, it uses a single probe instead of three, and can document conditions from the superficial to deep inside the body. The system fits in a pants pocket and simply attaches to the doctor’s smartphone. As incredible as the iQ will be in the US, think of how it will probably bring ultrasound to developing nations worldwide for the first time! Another video discusses the engineering, which reduced the entire bulky ultrasound machine to a far-less costly chip, (including a lot of signal processing and computational power) and capitalizes on technologies developed for consumer electronics. The approach doesn’t just equal the traditional piezioelectric technology, but surpasses it. with power that would cost more than $100,000 with a conventional machine. In terms of manufacturing, Butterfly can use the same chip machines used to produce consumer goods such as smartphones, and can print nearly 100 ultrasound machines on less than one disk. I thought instantly of my go-to “what can you do with the IoT that you couldn’t do before” device, the Kardia EKG on the back of my iPhone (I met a woman recently who said her Mass General cardiologist prescribes it for all of his patients). Both are absolute game changers, in terms of ease of access, lower cost, allowing on-the-spot monitoring and even potentially empowering patients (Yet another tool to make my SmartAging concept possible). Oh, and did I mention that the iQ’s Artificial Intelligence will guide even inexperienced personnel to do high quality imaging within a few seconds? 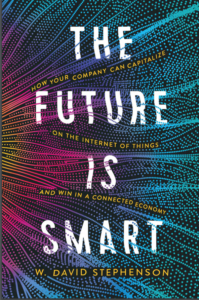 Bottom line: if you talk to someone who doesn’t believe the IoT’s potential to make incredible changes in every aspect of our lives, just say: iQ. Wow! Montgomery wanted to do this through an open-source voice control system but for there wasn’t an open source equivalent to Siri or Alexa. 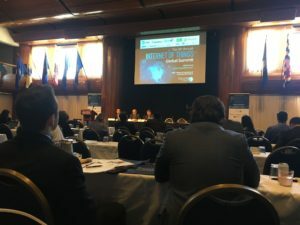 After building the natural language, open-source AI system to fill that need (tag line, “An Artificial Intelligence for Everyone”) he decided to build a “reference device” as the reporter terms it (gotta love that techno speak. In other words, a hardware device that could demonstrate the system). That in turn led to a crowdsourced campaign on Kickstarter and Backerkit to fund the home hub, which is based on the old chestnut of the IoT, Raspberry Pi. The result is a squat, cute (looks like a smiley face) unit, with a high-quality speaker. Most important, when the development team is done with the AI platform, Mycroft will release all of the Mycroft AI code under GPL V3, inviting the open-source community to capitalize and improve on it. That will place Mycroft squarely in the open-source heritage of Linux and Mozilla. 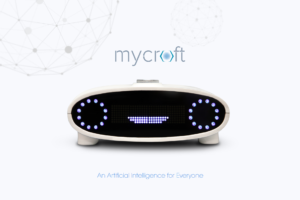 Among other benefits, Mycroft will use natural language processing to activate a wide range of online services, from Netflix to Pandora, as well as control your smart home devices. Mycroft illustrates one of my favorite IoT Essential Truths: we need to share data, not hoard it. I don’t care how brilliant your engineers are: they are only a tiny percentage of the world population, with only a limited amount of personal experience (especially if they’re callow millennials) and interests. When you go open source and throw your data open to the world, the progress will be greater as will be the benefits — to you and humanity.